STRATFORD – The Stratford boys basketball team used an impressive night at the free throw line to down rival Edgar. 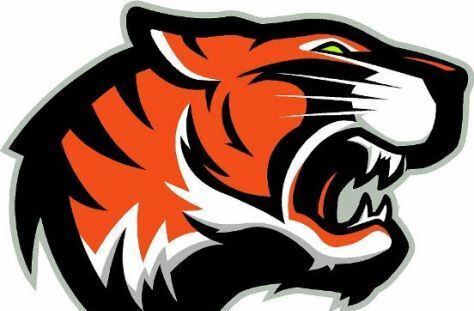 The Tigers made 18 of 23 free throws to sink Edgar 57-40 in a Marawood Conference South Division game Tuesday night at Stratford High School. Stratford remains perfect at 14-0 overall and improves to 11-0 in the Marawood South. Edgar falls to 7-5 overall and 4-5 in the conference. Okley Wrensch made three 3-pointers and was 4-for-4 at the foul line to score a team-high 15 points for the Tigers. Lance Heidmann made all five of his free throw attempts and added 14 points for Stratford. Stratford hosts Owen-Withee for a nonconference game Friday. EDGAR (40): Statistics not provided. Record: 7-5, 4-5 Marawood Conference South Division. STRATFORD (57): Teddy Redman 0-3 0-0 0, Max Vanderhoof 0-1 0-0 0, Okley Wrensch 4-7 4-4 15, Dawson Danen 0-0 1-2 1, Hunter Hannan 0-0 0-0 0, Chandler Schmidt 2-5 4-5 9, Branden Ackley 1-2 0-1 2, Vaughn Breit 2-5 2-2 6, Lance Heidmann 4-7 5-5 14, Ben Barten 3-5 2-3 8, Paul Huther 1-1 0-1 2. FG: 17-36. FT: 18-23. 3-pointers: 5-15 (Wrensch 3-6, Schmidt 1-2, Heidmann 1-3, Redman 0-1, Vanderhoof 0-1, Ackley 0-1, Breit 0-1). Rebounds: 26 (Danen 6). Fouls: 20. Fouled out: none. Record: 14-0, 11-0 Marawood Conference South Division.